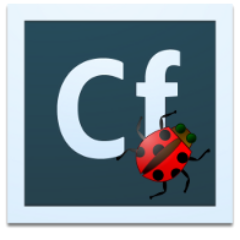 This is just a heads-up that I have renamed the @CFBugNotifier Twitter account to @CfmlNotifier. It will continue, short-term, to provide exactly the same status updates that it does now, but I intend to diversify it slightly perhaps. Plus I want to decouple it from the notion of "ColdFusion", as it'll have some CFML-vendor-neutral content too. If anyone out there with artistic skills (or just an ability to use graphics software... which once it gets more complicated than MS Paint is beyond me) and was feeling generous and donate some time to me, it'd be cool if someone could knock out a quick icon for me? I feel a bit dumb asking a favour like this, but... so be it... I am not graphically minded. All I can offer in recompense is the glory of being mentioned on the blog, an inclusion in the "People" box at the side, and a beer or two (or three... or...) next time I see you. Anyway, cheers if you can help. And indeed cheers anyhow.